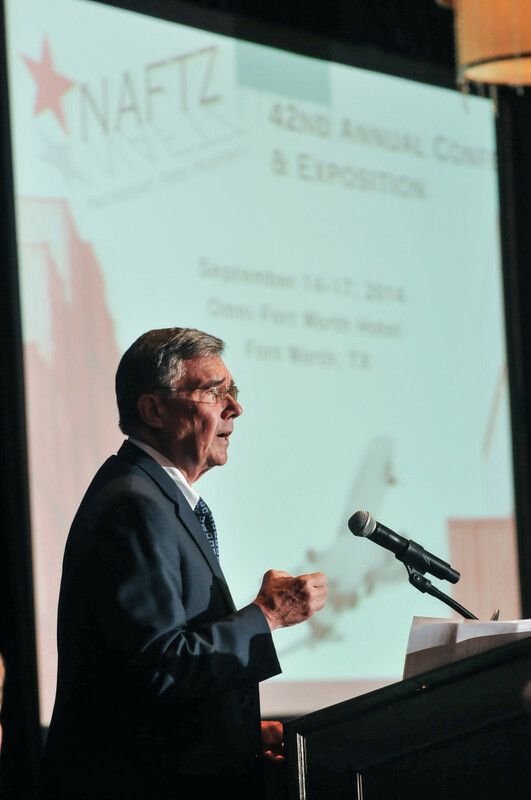 From September 14 – 17, 2014, more than 460 attendees from all over the world gathered in Fort Worth, Texas for the NAFTZ’s 42nd Annual Conference and Exposition. 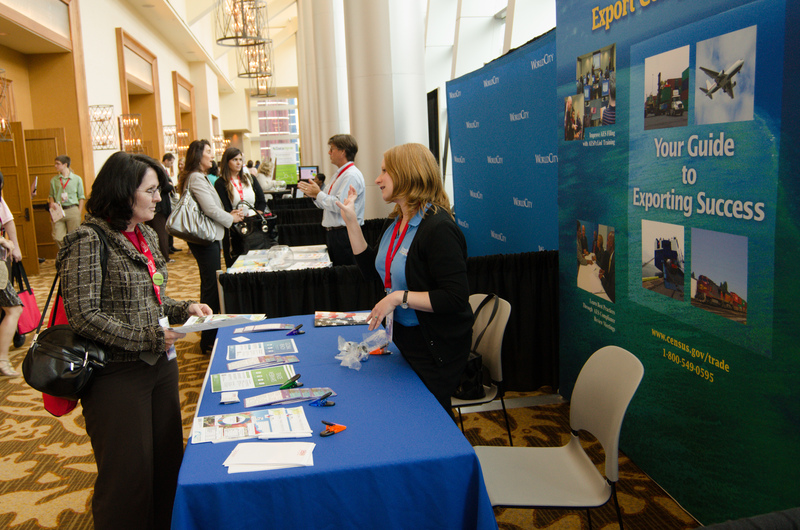 As one of the nation’s hotbeds for Foreign-Trade Zone activity, Texas was the perfect venue for four days of networking, education, and fun with professionals from all areas of the FTZ community and beyond. The conference began with a Sunday evening reception, which also marked the grand opening of the exhibition hall. In the exhibition hall, eighteen FTZ related software vendors, consultants, and ports showcased their offerings to an audience of more than 460 FTZ professionals. Monday morning’s sessions began with a speech by Fort Worth Mayor Betsy Flores, who discussed the importance of Foreign-Trade Zones to the state and local economy. 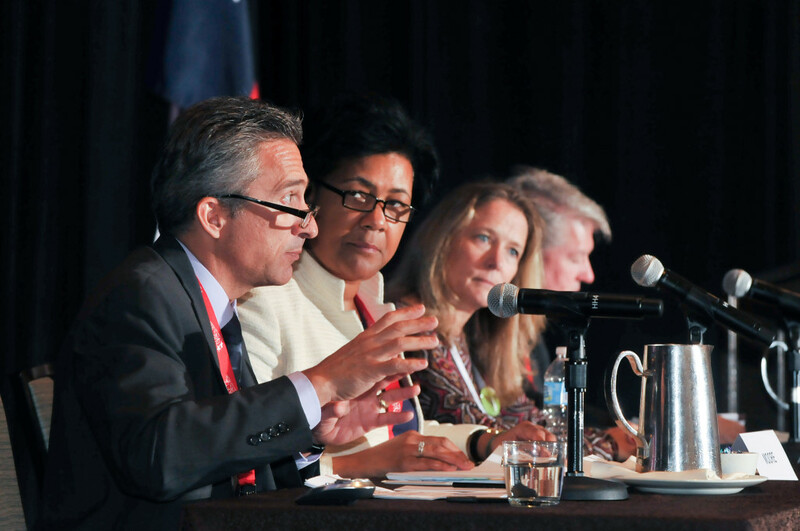 The speech was followed by an informative panel discussion titled Changes & Updates to CBP’s Focused Assessment Program, which featured Elizabeth Chiavetta and Cheryl Johnson of U.S. Customs and Border Protection’s Regulatory Audit division. 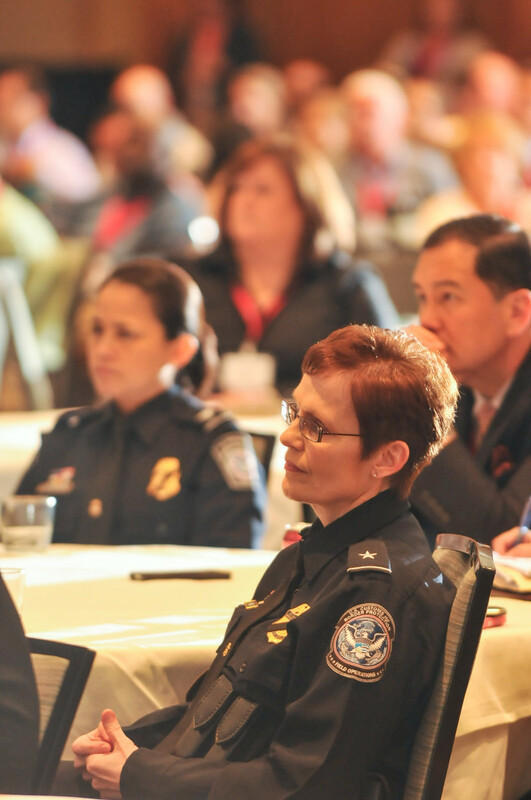 In one of the conference’s most memorable highlights, Commissioner R. Gil Kerlikowske of U.S. Customs and Border Protection addressed Monday afternoon’s general session. During his speech, the Commissioner described lawful international trade as “a boon to our nation’s economic security,” and expressed his commitment to CBP’s trade facilitation mission. Kerlikowske then praised the FTZ program for its contributions to the U.S. economy, citing the tripling of FTZ exports since 2009 and the record levels of employment and merchandise received recently reported by the FTZ Board. The Commissioner also pledged to be supportive of FTZs, and stressed the importance of their integration into the Automated Commercial Environment. Tuesday’s program featured addresses by NAFTZ President Dan Griswold and FTZ Board Executive Secretary Andrew McGilvray. President Griswold’s presentation reviewed highlights of the Association’s events throughout the year, analyzed some of the remarkable statistics released in the recent FTZ Board Annual Report, and shared details of the NAFTZs advocacy agenda for 2014. Executive Secretary McGilvray’s presentation revealed that 2014 case levels at the FTZ Board are on track to reach 2012 levels or higher. McGilvray explained that the Alternative Site Framework has continued to grow in popularity, with 127 zones currently under ASF and 13 applications pending. Tuesday’s luncheon featured a keynote speech by Ross Perot, Jr., Chairman of the Perot Group and Hillwood. Perot discussed the significance of Foreign-Trade Zones to the commercial real estate and development industry, citing Hillwood’s involvement with 6 different FTZ sites in the United States. Perot also discussed the global competitiveness of the United States as a destination for Foreign Direct Investment. 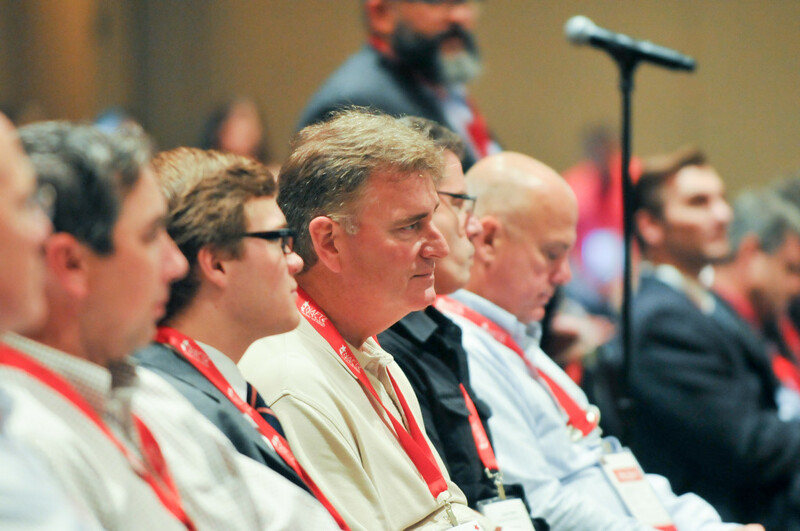 On Wednesday morning, the NAFTZ membership gathered for its Annual Business Meeting. At the meeting, NAFTZ President Dan Griswold provided a detailed report on NAFTZ’s advocacy initiatives, as well as an update on membership and the association’s financial position. The Annual Business Meeting also marked the re-election of NAFTZ Board Chair Jan Frantz, a Grantee and Executive Director of the BC/CAL/KAL Inland Port Development Corporation in Battle Creek, Michigan. The membership also elected one new Board member, Sean Lydon of ISCM, Incorporated. Wednesday’s luncheon marked another memorable occasion, a panel discussion featuring officials from the recently founded World Free Zones Organization (WFZO). During the signing ceremony, Dr. Mohammed Al Zarouni and Dr. Samir Hamrouni spoke about the significance and goals of the new organization. They were joined on stage by NAFTZ Board member Kenneth Carlstedt and Secretary Julie Brown, as well as former NAFTZ Chairman Lewis Leibowitz, who spoke about the benefits that NAFTZs participation in the WFZO would provide for NAFTZ members. 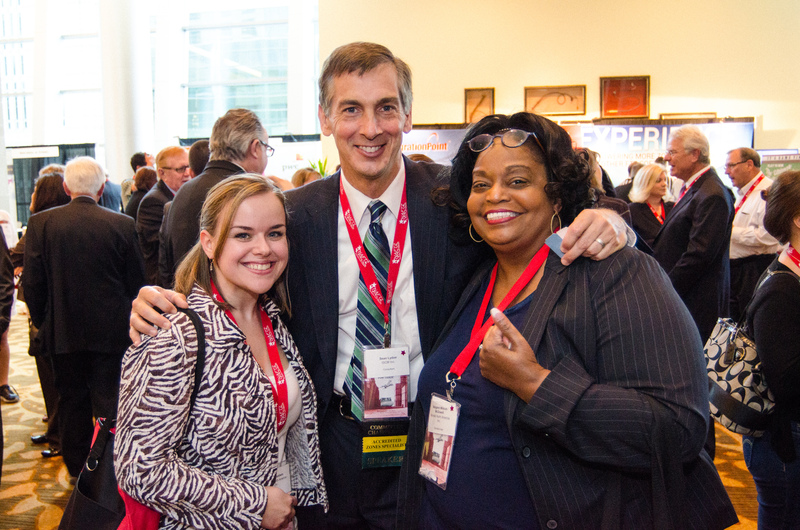 The NAFTZ wishes to thank all those who attended, exhibited, and sponsored our 2014 Annual Conference and Exposition. We look forward to seeing each of you next year in Los Angeles, California!